The North Mississippi Allstars are proud to announce the release of their fifth studio record. Entitled, Hernando, the record will be released on January 22, 2008. It is the band's first studio album to be released on their own label, Sounds of the South Records. Hernando also marks the first release since 2005's critically lauded and Grammy-nominated Electric Blue Watermelon. Where EBW was a tribute to the tradition of the Hill Country Blues legacy that has always influenced the band, the brothers Dickinson -- Luther (guitars, vocals) and Cody (drums) -- and bassist Chris Chew, decided to cut the lines from the past with the new record and create their most personal sonic statement to date. To celebrate this newfound unity in independence, they called the record Hernando, which is the name of the town the trio grew up in together. "This is definitely our most focused record of original music that we've done," says Luther. "This records stands alone... we don't draw as much on our Hill Country roots. We're a blues rock band and set out to make a blues rock record." 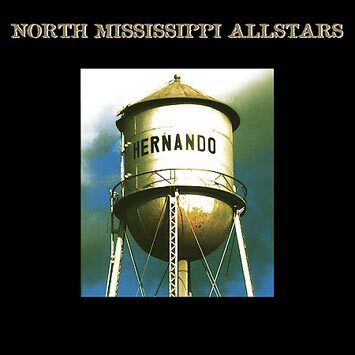 Look for the North Mississippi Allstars to launch a national tour in conjunction with the release of Hernando. The North Mississippi Allstars were founded in 1996; a product of a very special time for modern Mississippi country blues. RL Burnside, Junior Kimbrough, Otha Turner and their musical families were at their peak touring the world, making classic records, and doing the all-night boogie at Jr's Juke Joint and Otha's BBQ Goat picnics -- the music and the culture rich as the black Mississippi dirt. We used to drive down wide-eyed and open-eared to watch and listen to these giants among men, the kings of the hills playing their music with their people for their people. The musical traditions passing from generation to generation. Down at Otha's we used to boogie in the dirt, dust, and gravel. Old ladies teachin' the young girls how to shake 'em on down. The sweaty walls of Jr's Juke Joint used to vibrate and amplify the all night long moonshine madness. The corn liquor inspired a very unique psychedelic trance blues. The multi-generational musical families gave the old-field hollers a very aggressive, loud edge, modern, electric, country blues. Young, outsider musicians couldn't just hang out and hide in the corner, you had to play. It felt like it was an insult not to. The elder's requesting you to play their own songs. You had to come on with the come on.